it can alert the user if they have any social media friends in the vicinity. 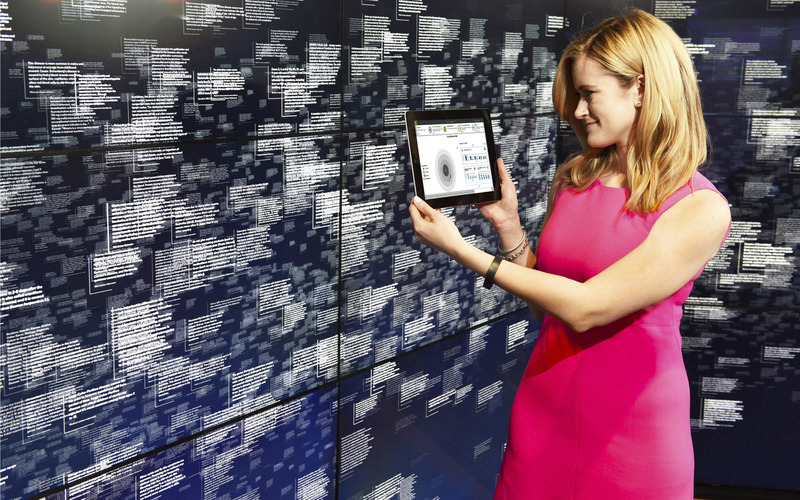 The researchers are using the power of IBM’s Watson in order to create a helpful museum tour guide in the form of an app. So, after Jeopardy, medicine and even cooking, we could soon see Watson with yet another job, as a tour-guide. Usher uses the accelerometer, gyroscope, and compass from the user’s smartphone in order to determine if the user is walking or stationary and where is he looking, while Wi-Fi or/and proximity sensors (like iBeacons) help to locate the user. Knowing where a user is standing helps users interact with it as they would with a human tour guide. It makes Usher ready to answer questions like “Who painted this?” without additional context. For example, if user is standing in front of Mona Lisa and he asks “Who painted this ?”, Usher would be able to deduce the actual query “Who painted Mona Lisa ?” using user’s context i.e. his location and his orientation and answer accordingly. Usher allows the query itself to be asked in two modes, namely speech and text. Usher uses user’s orientation and direction of movement to create dynamic audio messages, such as “On your left is the magnificent Mona Lisa”, on the fly which precede the actual description. The delivery of such information depends on the locomotive state of a user to ensure that he is notified of relevant content only when he is gazing at an art work or looking around as opposed to when he is rushing to a particular section. Usher, developed as an Android app, isn’t publicly available yet, and has been tried out only with some demo content that researchers created to go along with some paintings. But Shubham Toshniwal, a coauthor of the paper who works in the Watson group at IBM Research India in New Delhi, says it has been received “pretty well” internally at IBM, and he can imagine it helping people learn more about their surroundings in a variety of indoor spaces, ranging from historical buildings to offices. This entry was posted in Tehnologie and tagged ibm, usher, watson. Bookmark the permalink.